We all agree that using phrases in your day-to-day language can surely add some zing to your vocabulary and it also helps you to make a good impression on the listener. WHY USE IDIOMS AND PHRASES? We learned about different meanings and uses of the word SEASON ( CLICK HERE to read the blog ) and now we’ll learn some more uses of this word in the form of idioms and phrases. Let’s season our vocabularies a bit. Meaning: A man or a woman who is successful and talented in many areas. • Whether it is the responsibility of the house or the office, Nancy is a woman for all seasons. • He is a talented writer, director, and actor; he’s truly a man for all seasons. Meaning: When something takes place at the right or proper time. • I’ll inform you about my decision in good season only. 1. It’s a time of suspended or reduced activity, especially a sports activity. • The captain of the football team has decided to practise hard with his team during the off-season. 2. A time of year when business in a particular sphere is slack. • The tourism sector went down during the off-season. Meaning: It’s a British phrase for the period when newspapers (and other media) often broadcast trivial material because of a lack of more important news. • You know that the silly season has begun when it is hard to find a decent news in the papers. 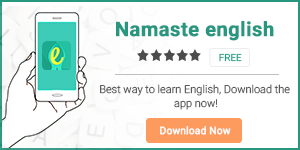 Don’t forget to download our improved and updated ‘English-Hindi Dictionary’ app Hinkhoj and English learning app Namaste English. Next articleWho or Whom? Let’s Get Over With It!